Atos has developed the Advanced Access Control System (AACS) for the most innovative Olympic Games Tokyo 2020 in history. As of today, every IT component of the Olympic Games, in relations to communications, media, sports and technology security systems has been fully tested and assessed by Atos in partnership with the Rio 2016™ Organizing Committee of the Olympic Games and other technology partners. 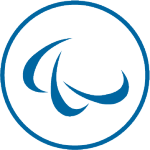 As Worldwide IT Partner of the International Olympic Committee, Atos has been a key technology provider for the Olympic Movement since 1989, when the company provided services to the Barcelona 1992 Organising Committee. Atos, an international leader in digital services, and Rio 2016 officially opens the Technology Operations Centre for the Rio 2016 Olympic and Paralympic Games. The official opening comes during the 12th project review by the International Olympic Committee when the TOC is visited as part of the IT readiness review.